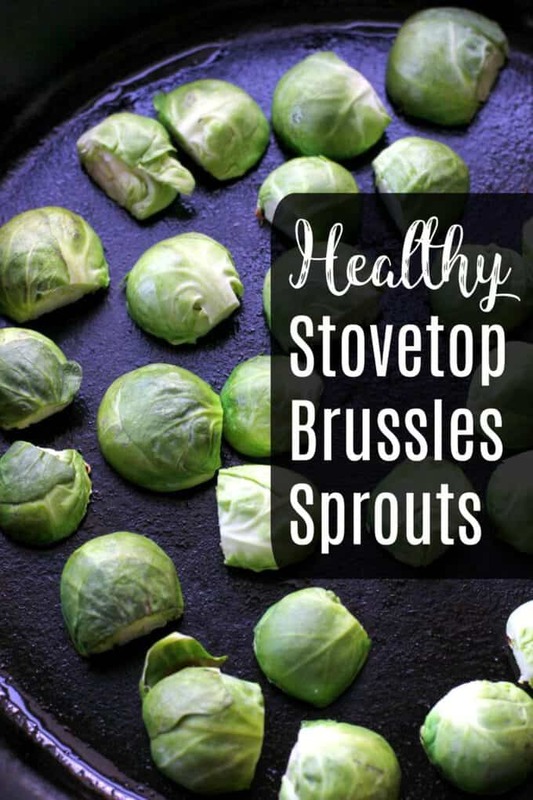 These stovetop brussels sprouts are a quick and easy way to add a healthy side dish to any meal! 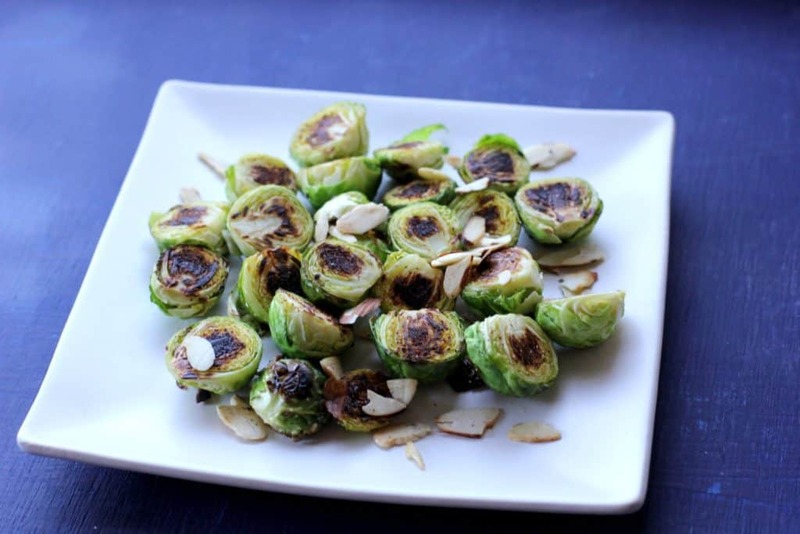 The Brussels Sprouts are cooked until brown and crispy and the almonds add a delicious crunch! 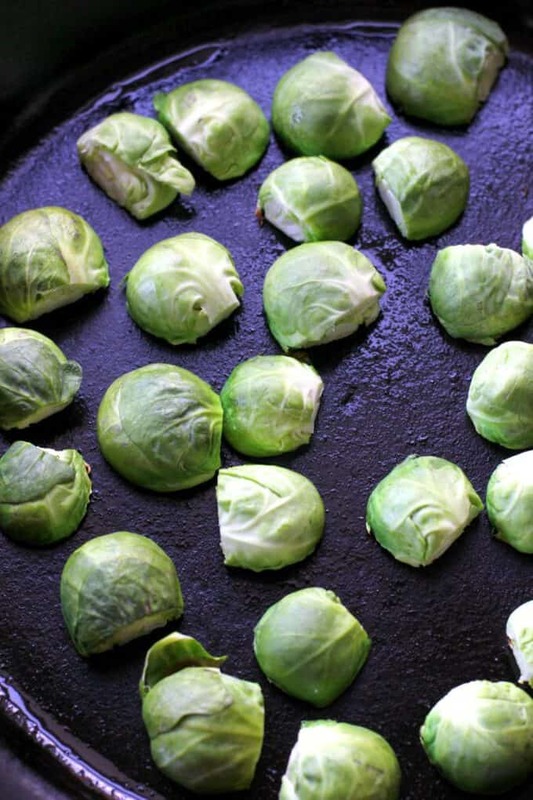 Remember when brussels sprouts were just a joke of a vegetable used to threaten children? We’ve come a long way since then. We’ve realized that there are tons of delicious way to prepare these mini cabbages, that bring out wonderful textures and flavors! I love brussels sprouts shredded in a salad but I also love when they’re brown and crispy. I often roast them to achieve a similar taste, but this pan method is much faster! And let’s be real, sometimes I just have no time to waste when it comes to vegetable preparation. 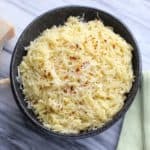 I prefer a cast iron pan for this method but if you don’t have one, you can still make these in any large pan you have in your kitchen. If you don’t have any sliced almonds, you can swap in pine nuts or even walnuts. I just love the extra crunch! 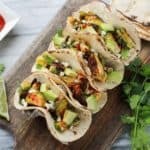 If the taste wasn’t enough to convince you to make this recipe, then how about the fact that Brussels sprouts are an excellent source of Vitamin K, which is important for bone health. They’re also a great source of fiber, vitamins A and B6, folate, thiamin, potassium, and manganese, as well as copper, calcium, and iron. Need I say more? These pan-fried Brussels sprouts are a delicious and quick way to turn these vegetables into an addictive side dish! In a large pan or cast iron skillet, heat the olive oil for over medium heat for 30 seconds. Place the brussels sprouts cut side down on the pan. Cook over medium-high heat for 5-7 minutes until browned, then flip and continue to cook for 2-3 more minutes. When the sprouts have browned on both sides, remove from pan and set aside. In the same pan, add the sliced almonds and stir for 1-2 minutes until just toasted. They should be light brown but not too dark. 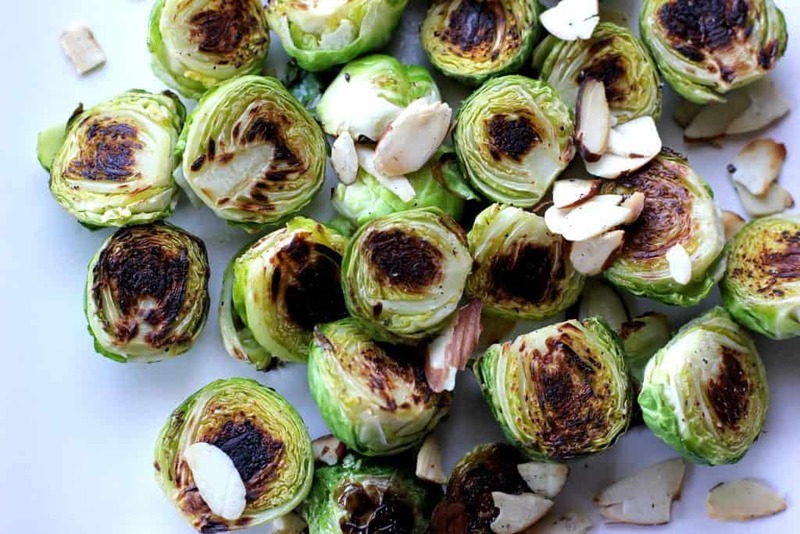 Top the brussels sprouts with the sliced almonds and add salt and pepper to taste. The trick is to be patient and don’t flip them until they’ve really browned. I’m an impatient cook but these are worth the wait. These are so yummy and they literally only take about 15 minutes to get on the table. Sometimes I’ll add a squeeze of fresh lemon juice on top. 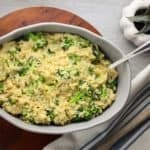 These pan-fried Brussels sprouts are delicious served with some tempeh bacon or even this vegetarian pot pie! 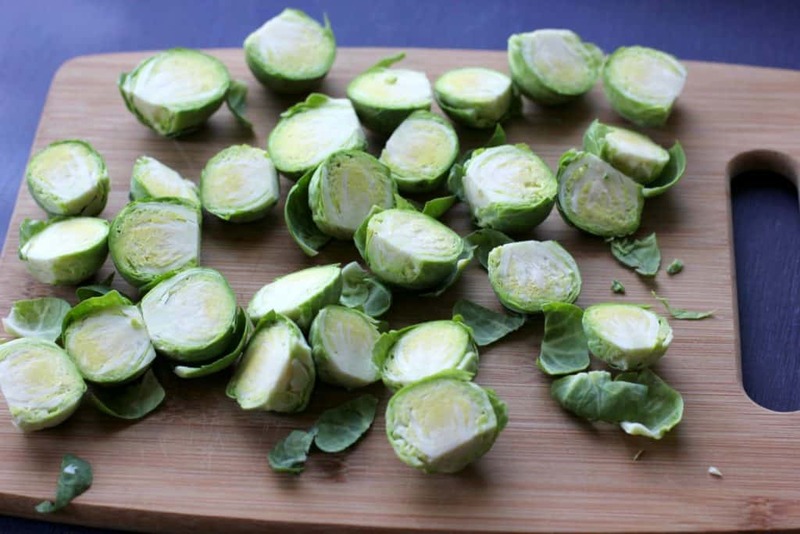 What’s your favorite way to make Brussels sprouts? I am not normally a big fan of brussel sprouts but maybe I will like them pan-fried. I usually like them roasted, but this looks a lot less time consuming. I’ve had to make a conscious effort to appreciate brussels sprouts, haha. When they’re cooked right, though, they are super tasty! Glad to see someone who’s not afraid to get a good char on the brussel sprouts! That’s the best way to eat them! I am a recent convert to brussel sprouts…never liked them as a kid but they do grow on you. Especially when you add almonds to the recipe. Perfect side for the holidays. I love brussels sprouts so this dish is on my list to try 🙂 I love the addition of almonds. Great idea. So simple yet so delicious. Love the charred color and flavor that it would bring. Thanks! I’ve always loved sprouts, even the nasty boiled ones that wold get rolled out every Christmas… But now I cook in bucket loads of ways, I’ve been working on confit in duck fat recently, love the sound of this recipe! Brussels sprouts are one of my favourite vegetables, but I’ve never pan-fried them before. I need to try that. 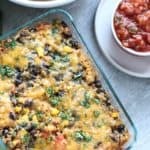 I love how fast and easy it is to prepare! This recipe must read my mind. I was just thinking about the bag of Brussels sprouts sitting in my fridge I need to use. I also have a bag of mandarin oranges, I think I will throw some of those in there too and use he walnuts. YUM! I was waiting for a complication…but nope, this looks super easy and delicious! On my winter cooking list!